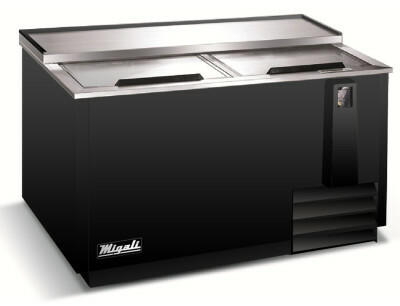 Migali CHBC65 65″ Commercial Bottle Cooler – A1 Restaurant Equipment Inc. 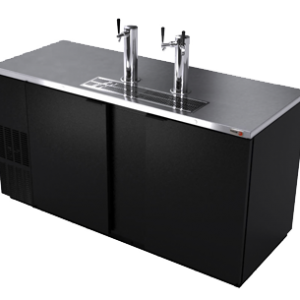 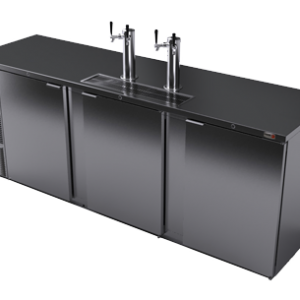 The horizontal bottle cooler from Migali is designed with the beautiful ergonomic appearance, black vinyl corrosion resistant steel exterior, aluminum coated interior and stainless steel top and lid. 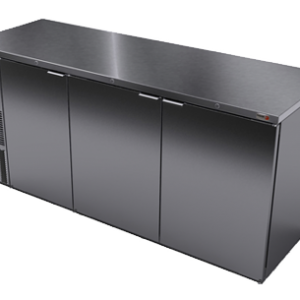 The side compressor and forced air refrigeration system will evenly cool the interior to your desired temperature set from the digital temperature read-out and controller. 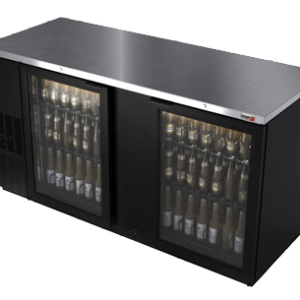 Each door lid has a lock for added safety, bottle opener and cap catcher for your convenience.